Poplar, Cottonwood, Elm, Willow, Elder, etc. 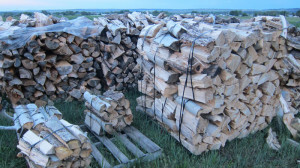 All wood is cut to length (16″- 18″) and split, unless customer requests otherwise. Stacking costs for delivery is $65 per cord. 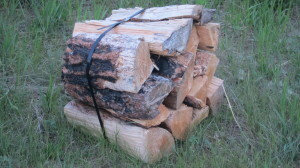 Each bundle is approximately 3.38 cubic feet (50 lbs)- banded for easy handling and convenience in providing a small yet feasible amount of seasoned firewood for your backyard fire bowls and out of town camping trips. 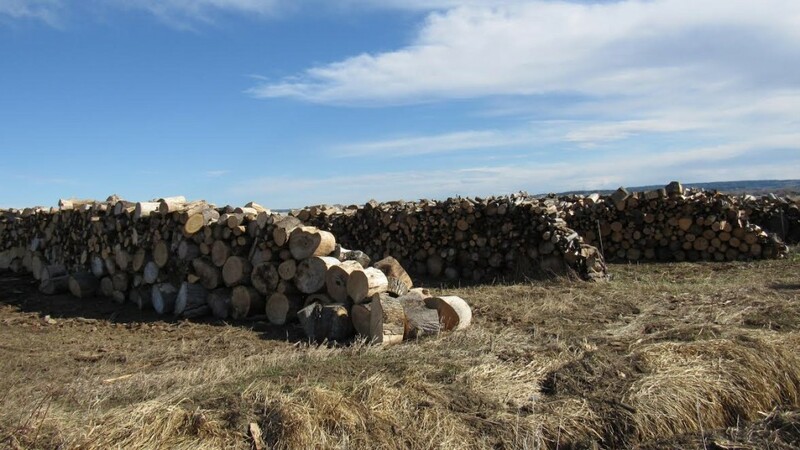 Each Pallet is featured with 3 rows of tensioned firewood, and has 2 wraps of shrink wrap to prevent any shifting while transporting- and for your safety! Pallets are only built upon request using the order form. We charge $60/pallet to stack and band the wood. If you have a trailer and the means of unloading a pallet we would highly recommend this method.